T5W is a weekly meme created by Lainey from gingerreadslainey, now hosted by Sam from ThoughtsOnTomes. You can check out the goodreads group to learn more. For May, we’ve been given free reign to do previous topics, and I am so excited! I just started participating in T5W last year, so I have tons of topics I can use. But it’s also so hard because there are so many good ones. This week, the topic I chose comes from November 2016. –Though it seems like we are all constantly chasing the next upcoming release, let’s take a trip down memory lane and talk about some books that we’d like to re-visit. 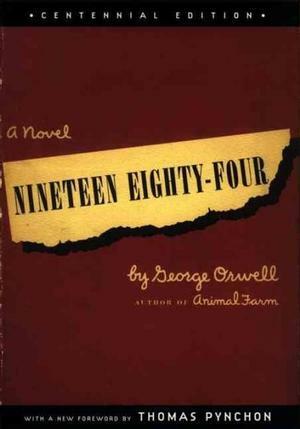 Nineteen Eighty-Four by George Orwell– I want to re-read it, but I honestly just can’t right now. Maybe in a happier future, though. 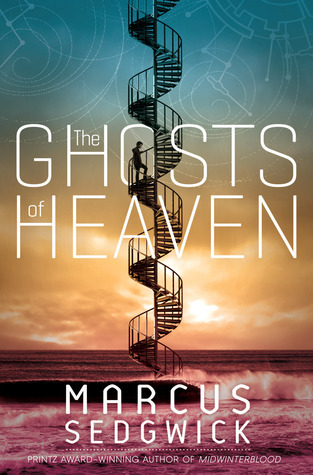 The Ghosts of Heaven by Marcus Sedgwick– I loved this book and I can not wait to re-read it a few times in different orders! 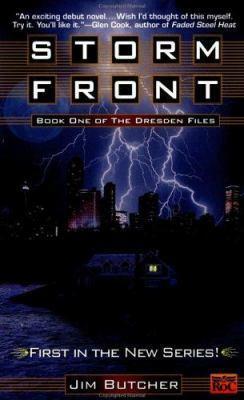 The Dresden Files series by Jim Butcher– Ok, this is cheating because it’s more than one book, but I really need and want to re-read these so I can catch up on the last two that have been released, finally. 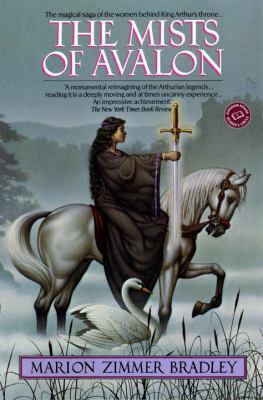 The Mists of Avalon by Marion Zimmer-Bradley– I read this several years ago and really loved it, but it’s going to be a while before I re-read it because it’s pretty chunky (over 800 pages). As a side note, the mini-series is freaking awesome, too. What are some books you really want to re-read? Must Read Monday is a weekly thing I do here to recommend books I’ve read and enjoyed. I might sometimes throw in something I gave 3 stars to, but for the most part they’re books I gave a 4-5 star rating to. That doesn’t mean they’re necessarily amazing literature, but it does mean I liked them enough to recommend them to other people. Recommended for: If you liked the movie (or book), Practical Magic, or if you generally enjoy magical realism, check this out. The Waverleys have always been a curious family, endowed with peculiar gifts that make them outsiders even in their hometown of Bascom, North Carolina. Even their garden has a reputation, famous for its feisty apple tree that bears prophetic fruit, and its edible flowers, imbued with special powers. Generations of Waverleys tended this garden. Their history was in the soil. But so were their futures. A successful caterer, Claire Waverley prepares dishes made with her mystical plants—from the nasturtiums that aid in keeping secrets and the pansies that make children thoughtful, to the snapdragons intended to discourage the attentions of her amorous neighbor. Meanwhile, her elderly cousin, Evanelle, is known for distributing unexpected gifts whose uses become uncannily clear. They are the last of the Waverleys—except for Claire’s rebellious sister, Sydney, who fled Bascom the moment she could, abandoning Claire, as their own mother had years before. When Sydney suddenly returns home with a young daughter of her own, Claire’s quiet life is turned upside down—along with the protective boundary she has so carefully constructed around her heart. Together again in the house they grew up in, Sydney takes stock of all she left behind, as Claire struggles to heal the wounds of the past. And soon the sisters realize they must deal with their common legacy—if they are ever to feel at home in Bascom—or with each other. I adored this book, and I think it was my first Sarah Addison Allen read. I actually put off reading any of her books for a while because they were compared to Practical Magic, which I liked, but didn’t love (I thought the movie was better, I’m sorry). In my opinion, Sarah Addison Allen’s books are way better and I recommend them anytime I come across someone else who enjoys magical realism. It’s been a few years, so the specifics of this book are kind of faded in my memory, but I still think about the Waverly family all the time, and I’ll probably re-read this at some point. If you’ve read this one, what did you think of it? And if you’ve read some of her other books, what’s your favorite? Recommended for: This is probably the only contemporary I’ve liked enough to recommend to lots of people. I’d suggest it for older high school/early college students, especially if you have anxiety and/or are into things like fan fiction. Trigger warnings: alcoholism/alcohol abuse (I think); mental illness. Let me know if I should add to this, please! Eeeek, I’m so late posting this! I’m not a great lover of contemporaries, so finding one that I actually adored was kind of a surprise for me. I got the Kindle edition of this back in ’14 because it was on sale and I’d never read any of Rainbow Rowell’s books before, and ended up loving it so much I bought the special edition hardcover. Even though I don’t have a twin and I didn’t have the typical college experience, I related to this book (especially Cath) so much, and I wish this book had been out when I was younger. Now, I recommend this a lot to people, even people who–like me–don’t really get into contemporary novels ever/very often. Recommended for: I’ve been recommending this to everyone I know who reads fantasy at all. This was one of those books I finished and then talked ad nauseam about for weeks. Actually, I’m still talking about it, every chance I get, and I might even gift it to a couple of people. 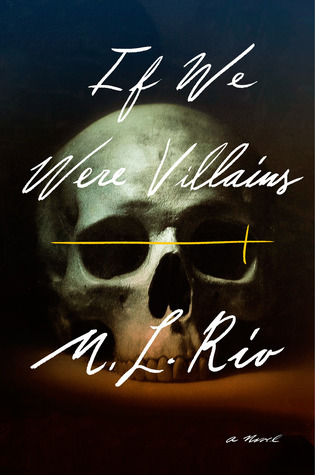 I love that it’s a novella, I love how unique it was, I loved the characters, I loved the writing…I just loved it. I borrowed it from the library, but ASAP I’m getting a copy because I think this is one I’ll definitely be re-reading. While it it part of a series, I think you could absolutely read Every Heart a Doorway as a stand-alone. It was complete by itself, and I think the other books are all going to be companion stories, not necessarily sequels.